Our Director, Lisa Hunszinger has been singing with Sweet Adelines for over 25 years and she brings a varied and extensive musical background to Alberta Heartland Chorus as their music director. Lisa’s passion for music began at the age of four when she took her first piano lesson and she hasn’t looked back since. She has her grade 10 level in piano from the Royal Conservatory of Toronto and also played several other instruments in both school and concert bands. Lisa continued her music studies in piano and voice at the University of British Columbia and the University of Alberta receiving a Bachelor of Education degree, as a Music Specialist. She has taught choir and band in the public school system as well as private piano, theory, and voice lessons. Lisa has sung baritone in several choruses and quartets at both regional and international competitions and is currently a member of the Regional Music Faculty, coaching choruses and quartets throughout western Canada. In 2001, Lisa won the Novice Arrangers contest for Region 26. She is also a Judge Candidate in the Expression category. Lisa is married to Peter and they have two children, Kristina and Connor. 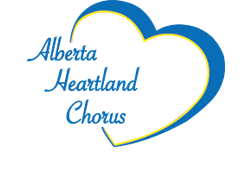 Kristina now sings with her mom in Alberta Heartland Chorus. When Lisa isn’t singing you will find her working with children at her Gymboree store.